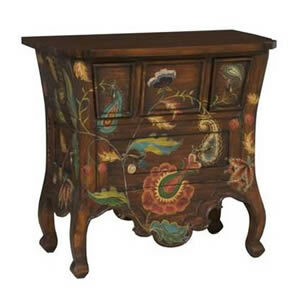 Woodlands Dark Stain finish on small chest with carved skirt and cabriole legs. Decorative antiqued hardware on two small drawers two side doors and front drop down door. 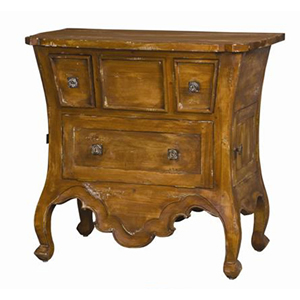 Vintage Russet American finish on small chest with carved skirt and cabriole legs. Antiqued square rosette hardware on two small drawers two side doors and front drop down door.